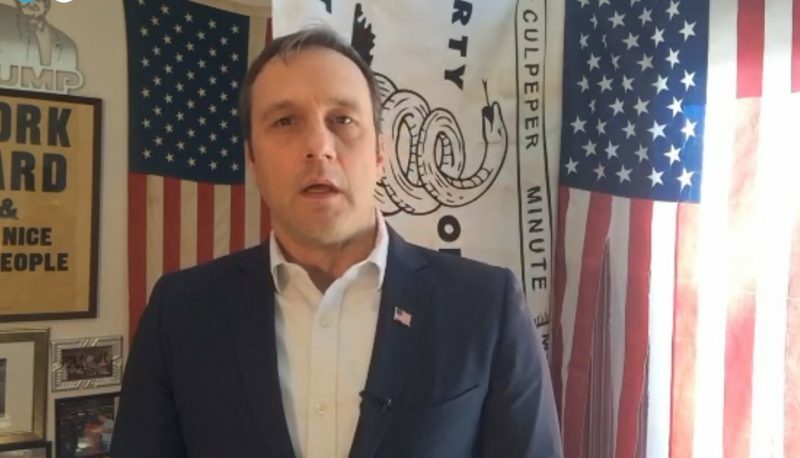 Paul Nehlen, a candidate who hopes to fill House Speaker Paul Ryan’s seat in 2018, has spent the last couple of weeks lashing out at the former supporters who have abandoned him after he publicly embraced the racist alt-right and appeared on an anti-Semitic podcast. Late last month, we reported on Nehlen’s efforts to shift the “Overton window” of conservative discourse by jumping fully into the racist meme-world of the alt-right and appearing on “Fash The Nation,” an anti-Semitic podcast popular among white nationalists. 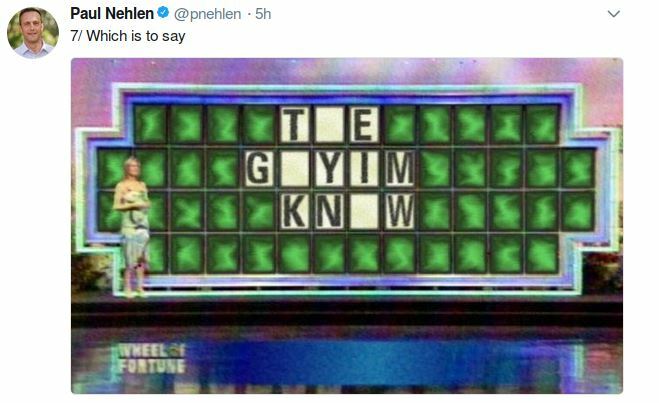 After we published our article, Nehlen attacked Foundation for Individual Rights in Education director Ari Cohn, who is Jewish, and accused Cohn of pretending to be white to start a “race war” with him and “undermining whites.” As the spat intensified, Nehlen referred to Cohn as a “hyper-sexualized pajama boy” and tweeted “echoes” at him, which are used by anti-Semites to target Jewish people for harassment. 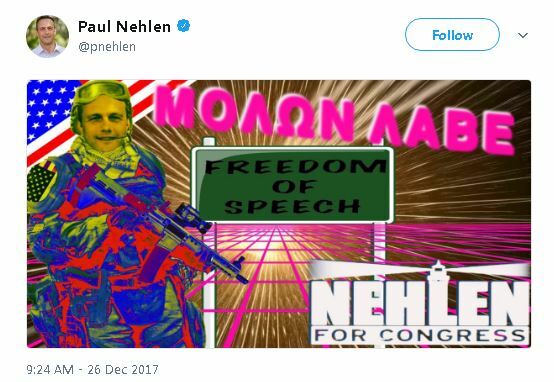 On December 26, Nehlen tweeted that he was reading “The Culture of Critique,” authored by the editor of “white identity” site The Occidental Observer. 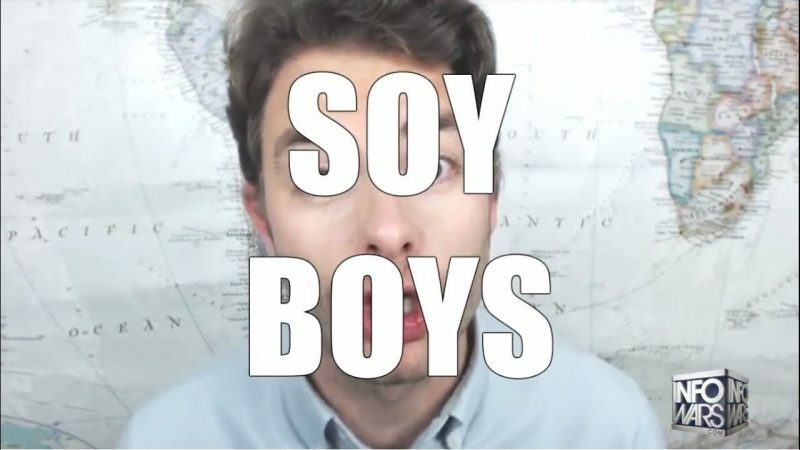 The next day, he shared a glowing article about himself published by Occidental Dissent, which read that “not since formerly mainstream Trump cheerleader Jared Wyand went full 1488 over a year ago has Twitter been hit with such high-powered truth bombs from a once relatively tame account,” referring to Wyand’s anti-Semitic and “white genocide” comments last year regarding the movie “Star Wars: Rogue One.” The phrase “1488” is used as coded slang among neo-Nazis, with “14” representing the “14 words” slogan. The number “88” is used to represent the phrase “Heil Hitler” (since H is the eighth letter of the alphabet). 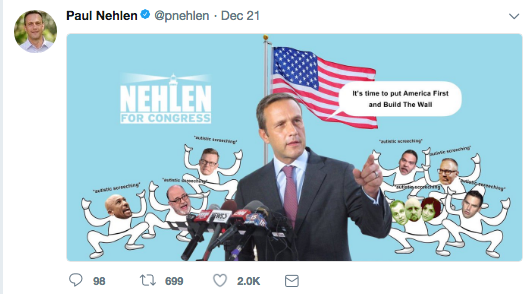 While Nehlen’s full embrace of the alt-right might have scared off some former allies, his lashing out at his former friends has only solidified his reputation within the vitriolic alt-right underbelly that he is trying to court.